Acacia Law is proud to be declared a finalist in the local business awards (for businesses operating in Ipswich for less than two years). Although Acacia Law, Ipswich’s only patent attorney firm, has been around for over a decade, it is has recently moved to Ipswich. 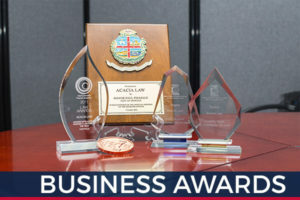 “The accolade acknowledges Acacia Law’s contribution to helping Ipswich businesses protect their intellectual property law,” says Acacia Law Partner, Cathryn Warburton. At Acacia Law, we focus on building our clients’ businesses!